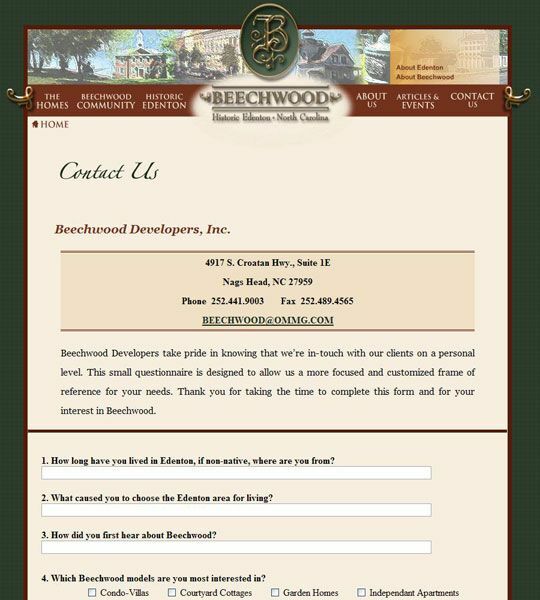 Informational website design for Beechwood Community to showcase their planned development in the North Carolina town of Edenton. 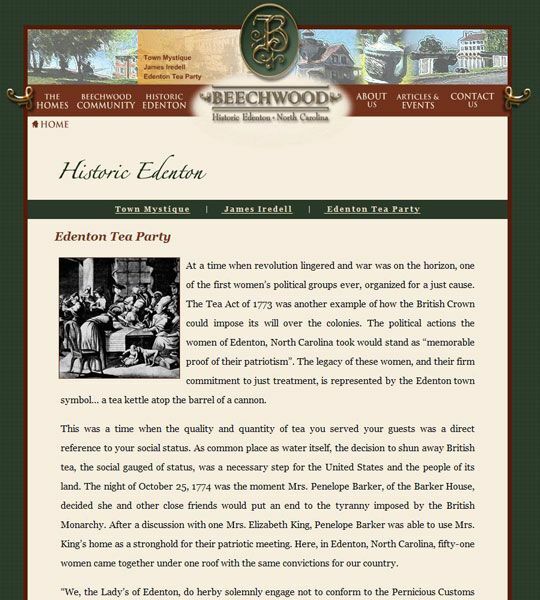 The site was designed in a style to emulate the small town charm and historic feel of the second oldest city in the state. Between the use of actual photos and artistic renderings, the site truly captures what life will be like in the planned development. 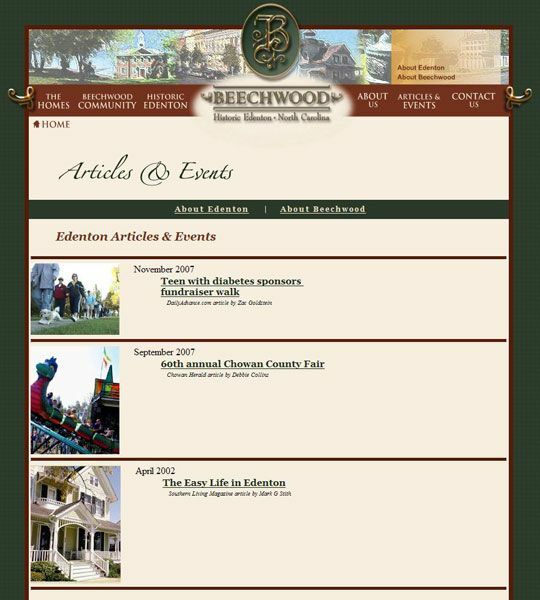 The site features flash navigation that highlights the selection you are on, and drops up the subcategories for each section. The subcategories in the navigation also hightlight as you hover over them, seamlessly fading in and out as you roll over for a slick and smooth feel. 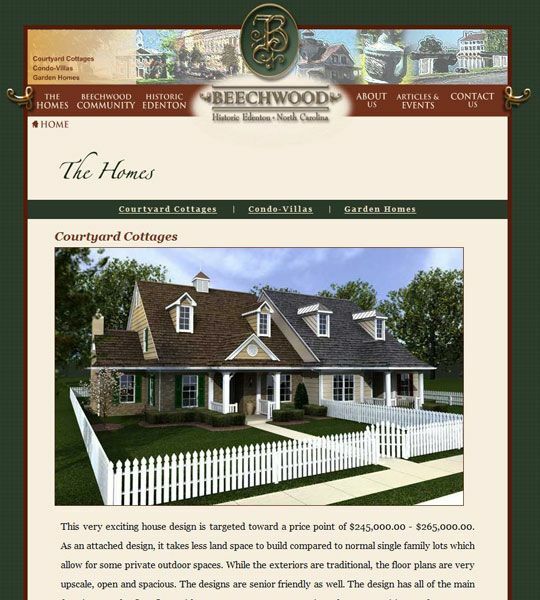 The contact us page features an online questionnaire where visitors input and submit information about who they are, and what kind of home they are interested in among other questions. 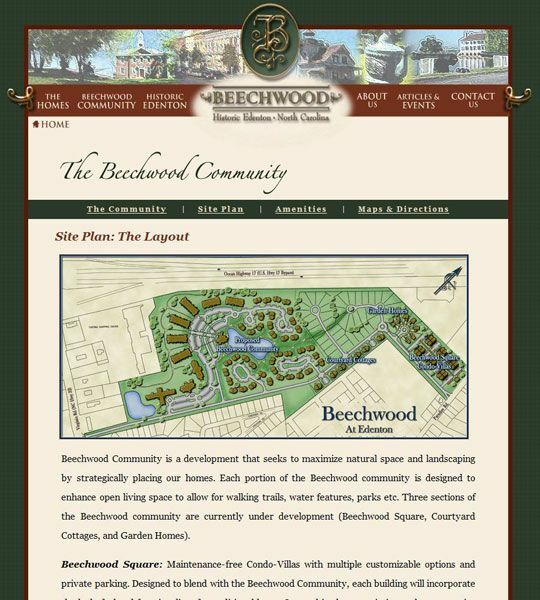 Once the form is submitted, it is emailed to the contact at Beechwood Developers where they can use that information to tailor their marketing approach. 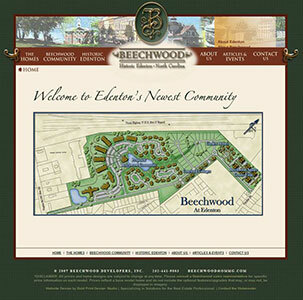 Overall the site is easy to navigate and find the information you are looking for.